As Erienewsnow reported, the global managed print services market is highly competitive due to the presence of a large number of players functioning in the market. Leading players in the market are adopting various strategic initiatives such as partnerships, mergers and acquisitions, and collaborations for developing new products and using advanced technology. 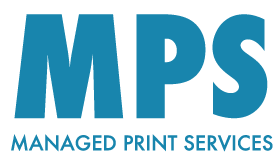 To mention some of the leading players operating the global managed print services market are Lexmark International Inc., HP Inc., Fujitsu Ltd, Konica Minolta, Inc., Canon, Inc., Ricoh Company Ltd., Kyocera Corporation, Xerox Corporation, and Toshiba Corporation. As per the report published by Transparency Market Research, the global managed print services market is anticipated to reach US$59.53 bn by the end of 2026 progressing from US$30.7 bn earned in 2016. During the forecast period between 2018 and 2026, the market is projected to expand at 8.6% CAGR. Based on deployment, cloud segment held maximum share in terms of revenue in the global managed print services market in 2017. During the forecast period, this segment is likely to continue its dominance due to the high demand for cloud-based services. Based on geography, North America held a larger regional share in 2018, as the health sector and government in the United States has largely adopted managed print services. On the other hand, Asia Pacific is likely to offer lucrative growth opportunity due to increase in investment and strategic acquisitions of U.S. in this region. The demand for managed print services has increased largely across the globe as it helps in reducing dependency on paper encouraging organizations to only print necessary documents. Growing environmental concerns and especially with regard to paper and unnecessary energy consumption are likely to increase the demand for managed print services. The benefits of using managed print services has helped organizations to efficiently meet their demand while further reducing paper wastage. Adding to it, government sectors and law firms are the ones that use paper extensively as compared to other industries. Thus, if government sectors and law firms employ managed print services it will help them in achieving higher Return on investment (ROI).